We just couldn't help share this look from Giovanna Engelbert this past weekend! We were just wowed from head-to-toe. I think anyone would agree, she nailed it. Looking for your last minute, knockout, Halloween costume!? So are we! Some of the best costumes we have put together on Halloween have been inspired by our existing closet. This allows you to be authentic and fashionable all at the same time (and hey, what more can we ask for)! Here are a few DIY fashionable costumes, as well as a few simple 'couple costume' looks. Let's get ready to party! For more inspo check out our Pinterest board! Uh major Couple Goals!!! It's hard enough to get one costume together, much less coordinate with your boo. 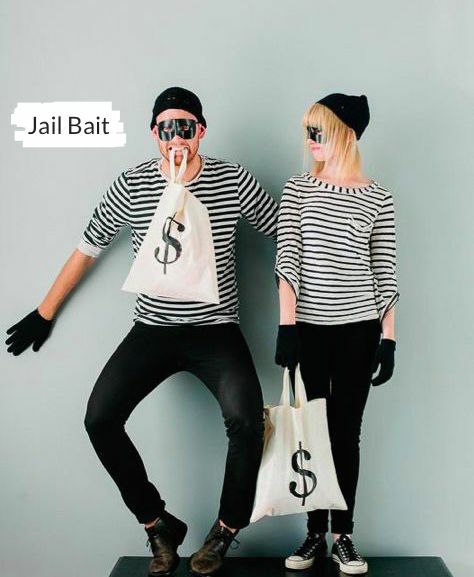 Here are three couple costumes that are easy and photo worthy!